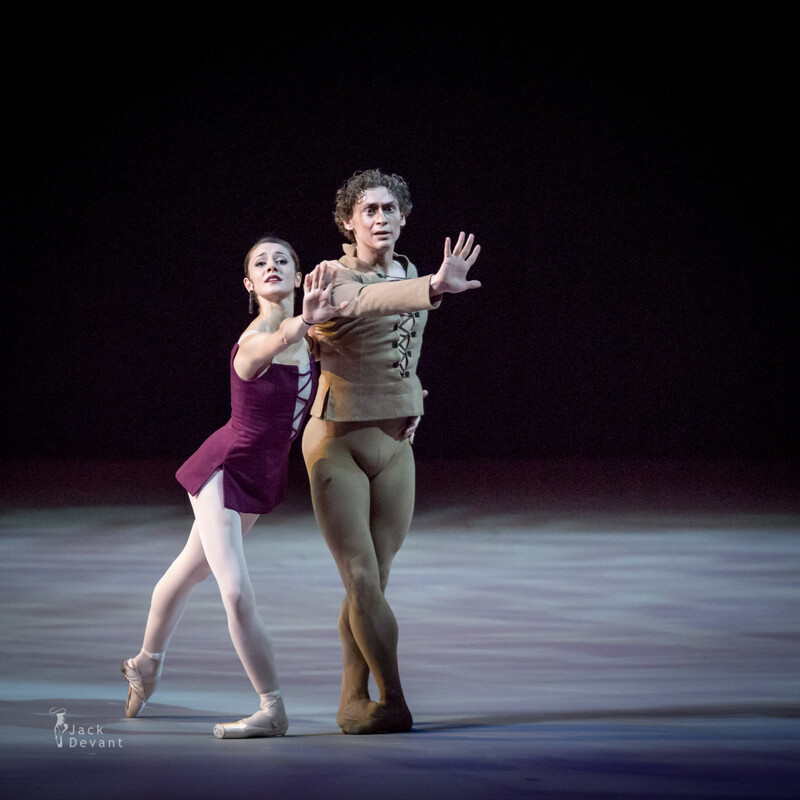 Nicoletta Manni as Esmeralda and Ivan Vasiliev (Rus. Иван Васильев) as Quasimodo in Notre-Dame de Paris, music by Maurice Jarre, choreography by Roland Petit. Benois de la Danse 2015 laureates Gala concert. Shot on 26th of May 2015 in The Bolshoi Theatre, Moscow. Nicoletta Manni is currently prima ballerina with Teatro Alla Scala. Nicoletta was born 1991 in Galatina, Italy. A member of the La Scala Theatre Ballet since 2009, she was promoted to prima ballerina in April 2014. Manni began dancing as a small child, encouraged by her mother Anna De Matteis. When she was 12, she began training at the La Scala Theatre Ballet School, graduating in 2009. When she was 17, she joined the Berlin State Ballet but returned to La Scala four years later in 2013. Ivan Vasiliev (Rus Иван Васильев) is a Principal with with the American Ballet Theatre and Mikhailovsky Ballet Company. He was born in Vladivostok, Russia. He studied at the Dnepropetrovsk Ballet School in Ukraine and later at the Belorussian State Choreographic College in Minsk, graduating in 2006 (class of Alexander Kolyadenko). Vasiliev danced Basil in Don Quixote and Ali in Le Corsaire with the Belorus National Ballet while still a student at the College. In 2006, he was invited to join Bolshoi Ballet as a soloist, making his debut with the company, at the age of 17, as Basil in Don Quixote. He was promoted to the rank of principal dancer in May 2010. In December 2011, he joined the Mikhailovsky Ballet Company. Notre Dame de Paris is a ballet by French choreographer Roland Petit. It was premiered at the Paris Opera Ballet in 1965. 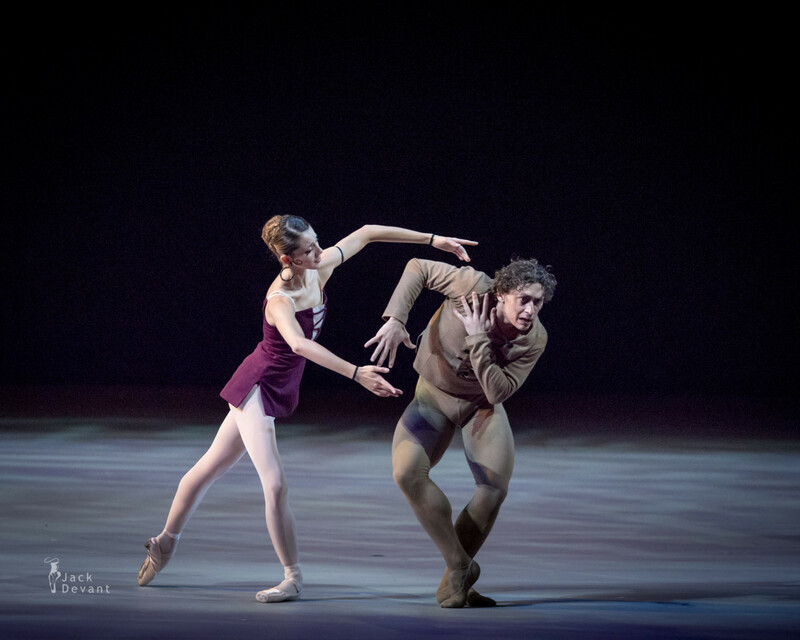 The ballet is based on the Victor Hugo’s novel The Hunchback of Notre Dame. It was the first work Roland Petit created at the Paris Opera Ballet, a company he had left 20 years earlier. This ballet was very successful and continues to be performed to the present, including a series of performances at the Paris Opera Ballet at the end of the 2013-2014 season, at the Opera Bastille and a production in 2013 at the Teatro alla Scala in Milan. Although he composed several concert works, Jarre is best known for his film scores, particularly for his collaborations with film director David Lean. Jarre composed the scores to all of Lean’s films from Lawrence of Arabia (1962) on. Notable scores for other directors include The Train (1964), Mohammad, Messenger of God (1976), Witness (1985) and Ghost (1990). Jarre was nominated for nine Academy Awards, winning three in the Best Original Score category for Lawrence of Arabia (1962), Doctor Zhivago (1965), and A Passage to India (1984), all of which were directed by David Lean. He also won four Golden Globes, two BAFTA Awards, and a Grammy Award.